What can one say about Fernando Meirelles? He's simply a genius. City of God is one of his many masterpieces. 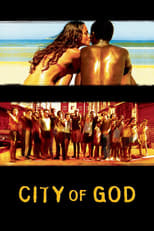 City of God is one of the best there is in the crime genre.